Texas Air Doctors is your trusted, local, family owned heating and air conditioning company. We look forward to serving you! Since 1997, our small, family owned business has responded with fast and affordable service when called upon by our neighbors, who are in need of repair or replacement of their HVAC systems. The work we do is always at the highest standards and with the utmost integrity. In fact we’ve embraced the Golden Rule as our value statement. We pledge to “Do unto others as we would have them do unto us.” Services Provided Texas Air Doctors staff trains constantly to provide our customers with the best and most knowledgeable advice on such things as: repair versus replacement options; how to make your home more energy efficient; how to choose the best cooling and heating system for their home; how to make your home a refuge from allergens; how to make your home’s air as clean as that in a hospital’s operating room. If a question arises about your air conditioner, heater, heat pump, air purification system, or any other system related to HVAC and we know or will get you the correct answer. Memberships No one can do it alone, so we have made alliances with leading industry professionals and consumer advocates for both, your protection and your benefit: Dave Lennox Premier Dealer (Reviews & Financial Incentives); Oncor Electric (Financial Incentives); Best Pick Reports (Reviews & $1,000 Consumer Guarantee); Better Business Bureau (Reviews & Complaint Resolution); Demandforce (Reviews); Angie’s List (Reviews); EGIA.org (Training & Discounted Consumer Financing); Nexstar Network (Training & Best Practices); Texas Air Conditioning Contractors Association (Education); and many others. Williams Home Maintenance (WHM) has been providing outstanding air conditioning, HVAC duct cleaning, heating repair and installation and meticulous home maintenance to North Texas for over 35 years. We know that our clients value their time, so we provide emergency repair assistance within 24 hours! Our clients value quality service and because we are a family owned and operated business, we provide experienced technicians and the highest quality of repairs. We pride ourselves with supplying quality air conditioning and heating brands for installation, cleaning or repair and for providing service that is customized to every client’s need. 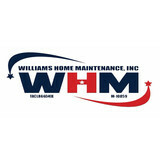 What We Offer All of our services start off with a free estimate and we provide quality service and competitive rates. Our services include: installation and repair of heating, central air, air conditioning, plumbing systems, HVAC duct cleaning, radiant barriers, air distribution and insulation. Besides installation, we offer preventative maintenance including replacement or upgrades for parts, and providing Indoor Air Quality (IAQ) assessments. 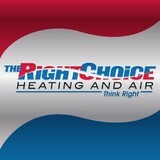 The Right Choice Heating and Air has been serving customers for many years. Now, we are proud to serve customers in Dallas, Fort Worth, and the surrounding areas for all of their heating, air-conditioning, roofing, general construction and insulation services. We offer interest-free finance for new installation and repair. We are here for you before-during-and after our service for questions and support. We give you our warranty that we will not leave you hanging if you need us again. We are licensed and insured. Our company’s mission is to remain one of the most trusted service providers for AC Repair Dallas and Fort Worth area through our unwavering commitment to customer satisfaction. We stand behind our work with a 100% satisfaction guarantee. If you have a question or have a heating or cooling system in need of repair, feel free to contact one of our Dallas a/c professionals at The Right Choice Heating and Air today! 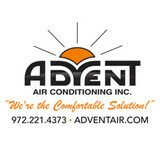 Quality, honesty, and integrity are the values on-which we founded Advent Air Conditioning, Inc. over 35 years ago, and still to this day, those are the very principles we bring to each and every service call we get from our friends and neighbors in the Greater Dallas/Ft.Worth area. In addition to offering industry-leading and time-tested HVAC systems, our care for our customers satisfaction is paramount in every day of our work. Teamwork is always our source of strength at Advent, and we consider our customers an integral part of that team. We work directly with home and business owners to present all HVAC and comfort solutions available, and discuss these options in-detail so that our clients are well-informed and confident in all aspects of the projected work, and completed results. From minor repairs to heating and air conditioning installations, we offer our full line of services to the surrounding community, and our promise to bring 100% satisfaction guaranteed to all of our customers. We are the number one service provider in our area for Home Energy Management. We are able to cut costs for our clients by getting the best prices from our suppliers, using manpower more efficiently and revising our bidding process. We are able to address the whole home efficiency rather than just a single product and to better serve our customers. By expanding our product lines and services to include more energy efficient options, we are able to best serve our customers by lowering what they spend in utility bills. We are now able to offer our customers comprehensive home energy audits to pinpoint where they are losing money and make recommendations as to how they can best improve their conservation efforts in their own homes, including implementing renewable energy source packages, such as solar energy . Throughout the years and through all of the ups and downs, we’ve become your go-to energy saving partner. Whether you are looking for HVAC repair, solar panels or energy efficient windows, we’ve got you covered. Sala Air Conditioning is an air conditioning and heating service repair company in Dallas, Texas. We service, repair, maintain, and install all makes and models of heating and air conditioning equipment in Dallas, TX. If your in need of immediate service now call Sala Air Conditioning at 214-742-7252. We are a full service and repair Air conditioning and Heating company, sales and equipment replacement are our specialties, we also do Attic Insulation services and Air duct cleaning all services are for Residential and Commercial. Ac Repairs or Heating Repairs are not what you want to be dealing with today. At Kleen Air Services we understand. It is a headache that costs time and money. Do not let your Air Conditioning or Heating issue become more difficult than it has to be. Let our 20 plus years experience and knowledge work for you. We will provide you with a cost effective, conscientious, time sensitive solution. In our 20 plus years serving the Plano TX and North Texas area’s we have experienced and repaired just about every AC Repair or Heating Repair scenario imaginable. We have the experience and knowledge required to get your home HVAC system back up and running at peak efficiency. A residential and commercial HVAC company serving the North Dallas Suburbs. 10 years experience, competitively priced. When you are in need of HVAC service for your business or home, you should look no further than Tom’s Mechanical, Inc. For over five decades, Texas businesses and residents have trusted the firm with their installation, repair, and maintenance needs. They are available 24 hours a day and 7 days a week to perform emergency service, if needed. Hop on over to their website for information about current specials and discounts. We are also the exclusive provider of OptiHome Home Performance Evaluation services. Once you schedule your evaluation, one of our certified OptiHome specialists will come to your home to collect data and perform a number of tests. During these tests, we use the latest in technology and advanced tools, including blower doors, infrared cameras, gas leak detectors, combustion analyzers, and digital cameras to collect detailed data. Once we have gathered all the necessary information, we will prepare an in-depth report outlining our findings, which will include clear photos. From there, we will recommend solutions to effectively resolve these problems. Call us today at (972) 388-3669 to request your home performance evaluation! Ray's Emergency Air is a full service air conditioning and heating or HVAC service company. We service all makes and models of air conditioning and heating systems. We service the Dallas Fort-Worth metroplex. We are a Texas based family owned company with many years of air conditioning and heating experience satisfying customers in one of the most demanding climates in the country, Dallas Fort-Worth, Texas. If your system has not been checked recently, your heating or cooling bills are high or it does not keep the temperature the way you want it, don't wait, give us a call today! OUR GUARANTEE We guarantee that we will provide quality service and from start to finish. 100% satisfaction is not a goal it’s a necessity for us. Whether you are trying to increase comfort or lower the over all energy usage we are here to help. ABOUT TRUFICIENT ENERGY SOLUTIONS We are a Heating and Air Conditioning Company that specializes in energy efficiency and conservation. We believe that 99% of small commercial building and residential homes have the potential to drastically cut energy use through efficiency, conservation and renewable energy. We provide Heating & Air Conditioning maintenance and Installs. We also provide weatherization, insulation installs, assessments and audits to help customers achieve their goals whether it’s to just save money, increase comfort or help reduce their energy footprint. OUR COMPANY MISSION We are small but growing. We are on a mission to cut energy bills, educate our customers and save people money all while increasing comfort. No Problem!!! 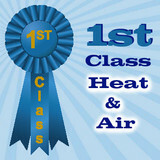 Heating and Air is a heating and air conditioning service and installation company servicing all of Dallas-Fort Worth. We have extensive experience in both commercial and residential service and installation. We can also service and install refrigeration units as well as work on boilers and chillers. We are a Rheem dealer, but if your heart is set on another brand we can install any system that is requested. We will match or beat ANY competitors written estimate. We offer financing for all types of credit. We offer air duct cleaning as well as new insulation. TemperaturePro is your trusted full-service Air Conditioning, Heating, and Indoor Air Quality Company delivering residential and light commercial HVAC repair, maintenance and installation services throughout the Dallas Metroplex area. We are independently owned and operated with the backing and product price advantages of a national franchise. New system installation based on equipment $2000-$28,000. Average repair cost $350. Maintnenance agreements are based on the number of units. One single system Membership is $205 a year. Cost of Total Comfort Membership $16.95 a month per unit. Discounts for multiple units. Commercial Maintenance Agreements based on tonnage of systems ranging from $400-600 per unit. Cost for a service call $99. Full diagnostic tune-up $125. What do HVAC contractors do? “HVAC” stands for “heating, ventilation and air conditioning.” An HVAC technician or contractor specializes in heating systems, air duct cleaning and repairs, insulation and air conditioning for your Grapevine, TX home and other homes. Generally, Grapevine HVAC contractors or HVAC technicians work with or run companies that repair or install heating systems and air conditioning units for homes. But they have specialized services too. For example, if you are a wine collector and you are thinking of installing a wine cellar in your Grapevine, TX home, you might hire a Texas HVAC professional who specializes in refrigeration work. HVAC professionals can use their skills to help you to save money on your Grapevine, TX home’s energy bills by installing radiant barriers in your attic or split-zone heating and cooling systems to heat rooms like solariums while cooling upstairs bedrooms during warmer temperatures. If you or a family member suffers from allergies, you’ll want to find a Texas HVAC technician who is knowledgeable about the latest cooling and heating products that include antiallergen filters. Contractors who work in the HVAC industry keep up on the latest in heating and air conditioning technology so outdated or troublesome systems can be retrofitted with newer, more energy-efficient models. Some of these professionals may work with your contractor, builder or other home improvement professional to get the job done. Find HVAC contractors on Houzz. Look in the Professionals section of our website and search for Texas HVAC contractors. Read reviews and see how an HVAC contractor might approach your Grapevine, TX home’s heating and cooling challenges.